The cost of replacing your heavy equipment is much higher than the cost of rebuilding it. 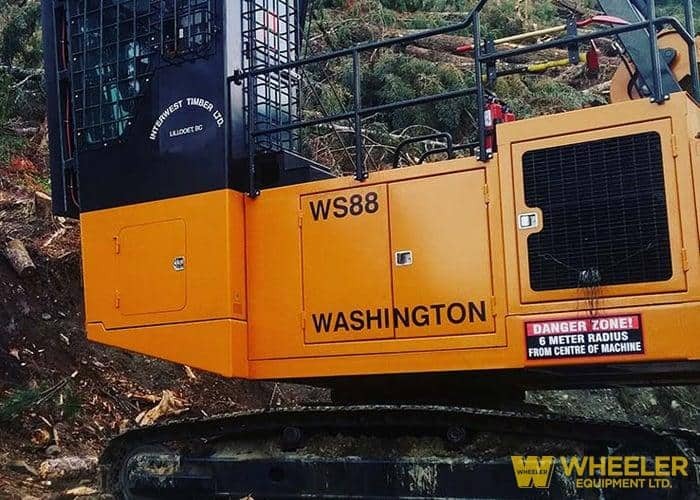 We bring our expertise and unparalleled understanding of Washington Yarders and logging equipment to every project we touch. Whether it’s in our Delta, BC shop or on-site, our team has what it takes to get your heavy equipment back in the game. We specialize in complete rebuilds and retrofitting from the tracks up. No job is is too big for Stu and the boys at Wheeler. From cab windshield to undercarriage, our parts experts can access or design/fabricate whatever is required to get you moving again. Nobody knows Washington like we do. Stu Wheeler has been repairing and rebuilding these machines since 1977 and has a complete archive of Washington logging equipment shop drawings. Our team of engineers, welders and parts pros understand what it takes to get you up and running. Repairing, retrofitting or remanufacturing your existing machinery will leave more dollars in your pocket. Custom built from the ground up with Washington History and Wheeler Quality! !